Sectarianism? What is Sectarianism? Sectarianism is the rivalry between two religious parties – Roman Catholics & Protestants, with one of the main and potentially biggest rivalry between Celtic & Rangers FC fans. Sectarianism has led to numerous serious attacks on football fans and police officers; it has also led to death in some occasions. Through-out the past century, sectarianism has brutally affected the citizens of Glasgow and the west of scotland. It must be highlighted that Sectarainism can affect anyone at anytime anywhere. On January 16h 2012 at 16:42pm, a 16 year old boy was kicked and punched round the head any body area just shortly after the train left from Glasgow Central travelling to Kilmarnock. The British Transport Police said that a bottle was thrown and was smashed during the incident. In 2004 and 2005, incidents reported to police in Scotland increased by 50% over 18 months. Scottish Goverment statistics showed that 64% of the 726 cases in that 18 month period were motivated by hatred against Catholics and 36% hatred towards Protestants. Northern Ireland is also known for Sectarian volience. Police forces fired plastic bullets and water cannons at riders in the heart of Belfast after being pelted by missiles for the second successive night in the latest bout of Northern Island’s sporadic sectarian violence. Bricks, glass bottles & fireworks rained down on riot police when they moved in to try and clear the cities thoroughfair. Police said two officers were injured and eight were hurt the previous night when a crowd threw paint bombs, bottles and masonary at the police. Another time a man atttacked the police with a sword and the police retaliated by firing plasitc bullets at him. 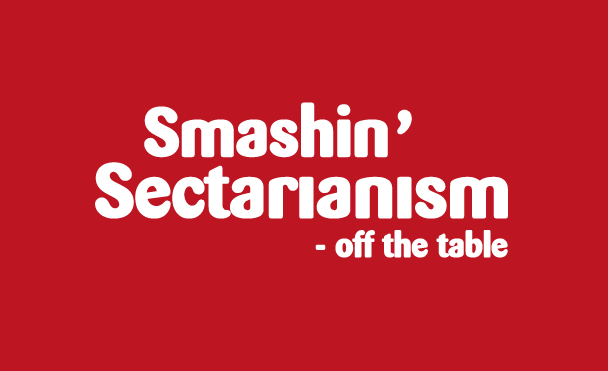 Some observers have argued that we need to stop sectarianism in Glasgow. The Scottish Goverment has published its proposals for legislation to tackle sectarianism related to football by introducing tough new prison terms. The bill aims to stamp out abusive behaviour from football fans wheteher they are watching matches at the stadium, in the pub or commenting online. It would be a maximum of five years in prison. THe offensive behaviour at football and threatening communications bill aims to tackle disorder around football matches and clamp down on internet hate posts. Sectarianism is still evident in our society because just this year (2015) a young 10 year old Rangers fan lost three teeth and was left with a broken jaw after he was hit with a glass bottle as he travelled to his first old firm game. The attack took place around 12.30pm when a Rangers mini bus travelling to the game was surrounded by Celtic fans hurling abuse at them. The news said “ The door on the minibus was opened and a bottle launched inside. It struck the young boy on the face which lead to his horrific injuries. In 2009, the Dailymail printed an article stating that a protestant’s wife suffered serious head injuries after she tried to save her catholic husband who was beaten by a gang of fans. After the football, Kevin was on his way home walking down the street when he was assaulted by a gang and was kicked the death. Evelyn, 49, recieved a terrible mass of cuts and bruises to her face and head. Many deaths are caused by Sectarianism buy I don’t see why people get so emotional about whether their team loses or wins, that they fell the need to go and kill or beat up the opposing teams fans. After hearing and reading about many emotional stories I am strongly against sectarianism because it causes a great amount of grief in cities like Glasgo and it can lead to riots, violence and deaths. If I have children I certainly do not want them growing up with so much hatred towards other religions and people who believe or support something different to me. This entry was posted in Sectarianism on 21st February 2015 by admin.